The Negev region, which occupies 60% of Israel's land surface area, has been ranked second on the Lonely Planet website's Top 10 Regions for 2013list. Every year, the popular travel guide releases a list of the most attractive places, cities and destinations for the coming year. Lonely Planet editors appear to believe, however, that development will take over and cause the Negev to disappear. “Time is running out to experience the desert as nature intended,” they wrote. Israel shares the honor with the Palestinian Authority, as the guide defines the Negev as part of the Palestinian territories as well. The top region for 2013, according to Lonely Planet, is the French island of Corsica. The third place was given to the Mustang area in Nepal, followed by Yukon in Canada, Chachapoyas and Kuelap in Peru, Louisiana's Gulf Coast, Carinthia in the Austrian Alps, the Palawan archipelago in the Philippines, the inland sea of Japan, and finally – Italy's Campania region. 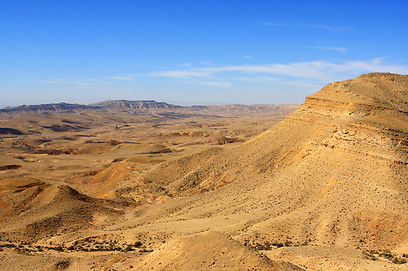 See all talkbacks "Negev among Lonely Planet's top 10 regions "